Phone 020 7078 3930.. 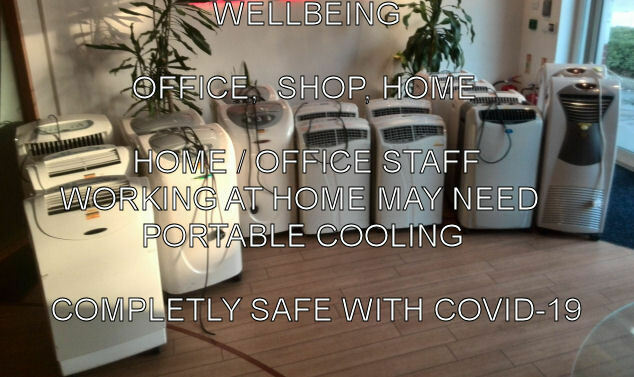 Chilly Pepper Hire ..
Low cost Portable Air Conditioning Rental for People, Computer equipment and Audio Visual Equipment are all specialist and expensive items to own (the true cost of ownership), that why so many companies and organisations hire portable air conditioners in London, especially to avoid dealing with faulty and out of date equipment in the fast moving industry of Hi tech equipment. Its not just an understanding of one area that makes us useful to you, its the ability to understand and deal with all your AC, IT and AV as one item. Hire gives flexibility, reliability and delegates responsibility to us, either way, what ever suits you now, may not suit you in the future or even if it does the equipment may become obsolete or un-repairable. Whether you run your own business, an employee or at home, if the weather forecasters are to be believed summers are going to get longer and hotter and you are going to need “Air Conditioning”. in the office:- server rooms & staff; and for shops:- staff & customers etc. The call usually comes as “We want it COOL and we want it NOW” - through gritted teeth. It is such a simple request, a simple question, that is, right up to the bit where we start asking questions, at which point our already frustrated customer descends into the abyss of unwanted mind numbing technology. You can hear the customer saying “- we don't care - we don’t want to know, we just want a widget that does it” - but unfortunately you do need to know. So for the technophobes, here is what you need to know, a little technology.